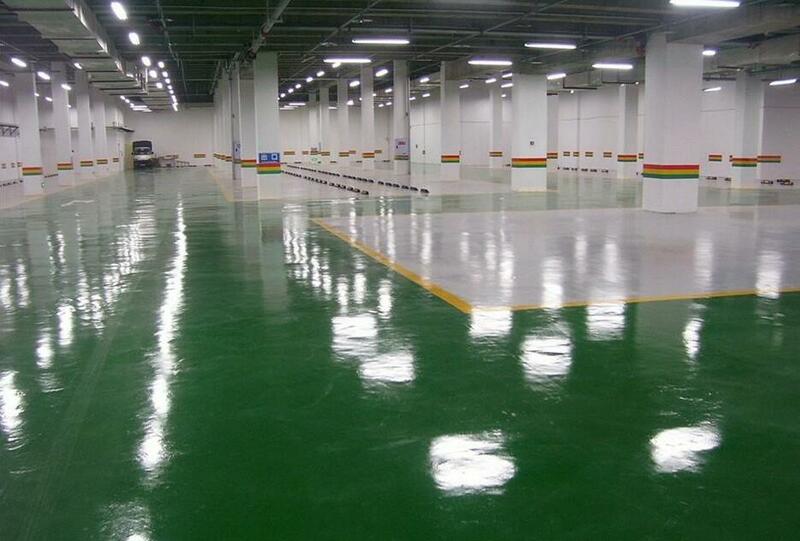 【环氧树脂网(环氧地坪施工)http://www.epoxy-cn.com/】2007年6月7日讯：D.E.R.™ 351 Liquid Epoxy Resin is a reaction product of epichlorohydrin with bisphenol-A and bisphenol-F. D.E.R. 351 Liquid Epoxy Resin is a (reactive) diluent free epoxy resin of lower viscosity than D.E.R. 352 Epoxy Resin. D.E.R. 351 Liquid Epoxy Resin combines the performance properties of standard bisphenol-A liquid epoxy resin with the low viscosity of bisphenol-F liquid epoxy resin. D.E.R.™ 351 Liquid Epoxy Resin is a reaction product of epichlorohydrin with bisphenol-A and bisphenol-F.
D.E.R. 351 Liquid Epoxy Resin is a (reactive) diluent free epoxy resin of lower viscosity than D.E.R. 352 Epoxy Resin. D.E.R. 351 Liquid Epoxy Resin combines the performance properties of standard bisphenol-A liquid epoxy resin with the low viscosity of bisphenol-F liquid epoxy resin. Crystallization, often a problem with conventional bisphenol-A or bisphenol-F based liquid epoxy resins, is essentially non-existent with D.E.R. 351 Liquid Epoxy Resin. D.E.R. 351 Epoxy Resin is compatible with common liquid epoxy resins and can also be blended with other materials (diluents, hydrocarbon resins etc.) to increase flexibility or obtain other specific properties. The Dow Chemical Company provides its customers with a product specific Material Safety Data Sheet (MSDS) of Safety Data Sheet (SDS) to cover potential health effects, safe handling, storage, use and disposal information. Dow strongly encourages its customers to review the MSDS or SDS on its products and other materials prior to their use.D.E.R. 351 Liquid Epoxy Resin is supplied in bulk, intermediate bulk container or in 240 kg tight-head drums. The resin should be stored in a dry place in its original closed packaging. D.E.R. 351 Epoxy Resin should retain its chemical properties for a period of at least 24 months. The Dow Chemical Company has a fundamental concern for all who make, distribute, and use its products, and for the environment in which we live. This concern is the basis of our Product Stewardship philosophy by which we assess the health and environmental information on our products and then take the appropriate steps to protect employee and public health and the environment. The Dow Chemical Company has enduring commitments to Responsible Care® in the management of chemicals worldwide. Our Product Stewardship program rests with every individual involved with Dow products from the initial concept and research to the manufacture, sale, distribution, and disposal of each product.